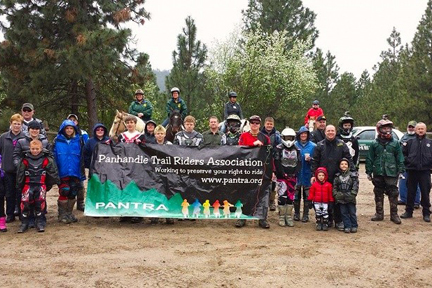 Come join us for PANTRA's annual kids ride at 7-Mile ORV Park. This event is geared for our beginner-intermediate kid club members. Moms and Dads are encouraged to bring their bikes also and ride along. Members without kids are welcome too. There will be a kids poker-run, slow ride competition, and lots of prizes. PANTRA will be providing hamburgers, hot dogs, and drinks for lunch. Please bring a side dish to share. *Please register and put the number of people that will be with you so we will have an idea of how much food is needed. Thanks! **7-Mile ORV Park requires a Washington State Discover Pass. You can purchase a day pass or yearly pass online. There are 11 people coming.